Based in Brooklyn and helping clients in all five boroughs, the lawyers of Gary A. Zucker & Associates, P.C. are skilled in complicated personal injury and wrongful death litigation. This means the ability to assist injury victims in lawsuits following major auto accidents as well as holding doctors and surgeons accountable for their actions in medical malpractice litigation. 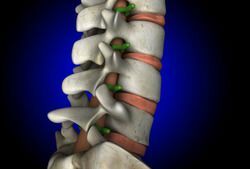 Some of the most serious injuries that a person can suffer from involve the spine. Let's take a moment right now to consider the different causes of spinal cord injuries. Whether it's a slipped disc or a severe injury to the spine, our attorneys take all kinds of injuries involving the back seriously. Relatively minor back injuries can mean time off of work and lost wages. More serious back injuries could mean altered mobility, flexibility, and wellness. In the most severe cases (i.e., paraplegia and quadriplegia), an injury victim suffers severe changes to his or her quality of life that are permanent and tragic. Below are some common causes of serious back injuries. Auto accidents are among the most common causes of spinal cord and neck injuries. These injuries can range in severity depending on the nature of the accident and the injury. Negligent drivers need to be taken to task for causing such accidents and for potentially altering the rest of a person's life. Injuries can happen when playing contact sports, but severe injuries to the head, neck, back, and torso can result in various injuries to the spinal cord. While many sports injuries that result in spinal damage are accidental, it's important to speak with attorneys in cases where negligence or malice may have played a factor in the injury occurring. Major slips and falls, particularly down stairs or from high heights, can result in major injuries to the spinal cord. Property owners need to make sure that precautions are in place to prevent serious falls from occurring and to make sure that steps are safe and hazard free. Many serious property accidents are avoidable. If you work in construction or at an industrial worksite, major accidents on the job can result in serious back or neck injury. Even repetitive motions while doing your job can cause damage to the spine over time. We will hold negligent companies accountable for causing or contributing to an injury, and we will also make sure that injured workers receive just compensation from insurance companies. Sometimes errors in surgery or errors in diagnosis lead to an injury to the spine. These are unacceptable since we expect medical professionals to act with diligence and deliberation. When these kinds of instances occur, our attorneys are sure to address matters by filing medical malpractice lawsuits against the negligent doctor or surgeon. For more information about your legal options following a serious injury or accident of any kind, be sure to contact our personal injury lawyers today. The attorneys of Gary A. Zucker & Associates, P.C. look forward to discussing your legal options in greater detail during a legal consultation.